K-S Plunger Pumps are engineered for heavy duty service in difficult sludge, slurry, float transfer, or metering applications. It is a self-priming positive displacement pump that can pass solid objects up to 1 ¾″ in diameter (depending on the model), rags, or entrained air. 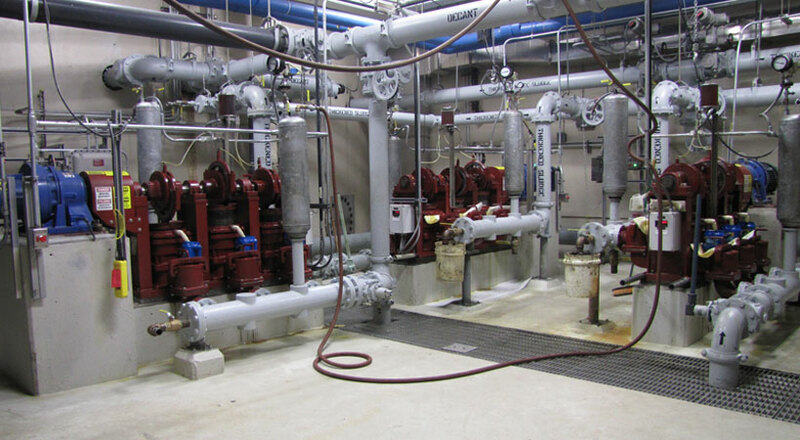 Our pumps have capacities to 34 liters per second (540 gpm) at heads to 90 meters (300 feet). K-S has pump installations that are over 55 years old. Go through our pump selector for more information on our pump models. Move heavy solids laden sludges typically found in municipal and industrial wastewater treatment systems. Units are available as simplex, duplex, triplex and quadruplex designs for flow rates up to 550 GPM and heads up to 300 ft.
Patented “Leak Free” packing designed to eliminate or drastically reduce the leakage commonly associated with plunger pumps. Hardened cast iron plungers available as standard with harder ceramic coatings and tungsten carbide coated plungers available for the most severe applications. Our KSK design is ideal for areas where space is- mited. 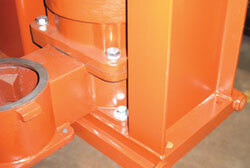 18″ is the maximum width when the pump is set up in an in-line arrangement. 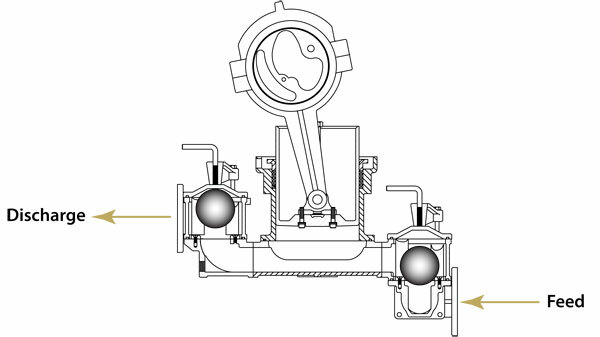 Automated lubrication systems involving either an electric solenoid oiler or a shaft driven, mechanical force feed oiler. 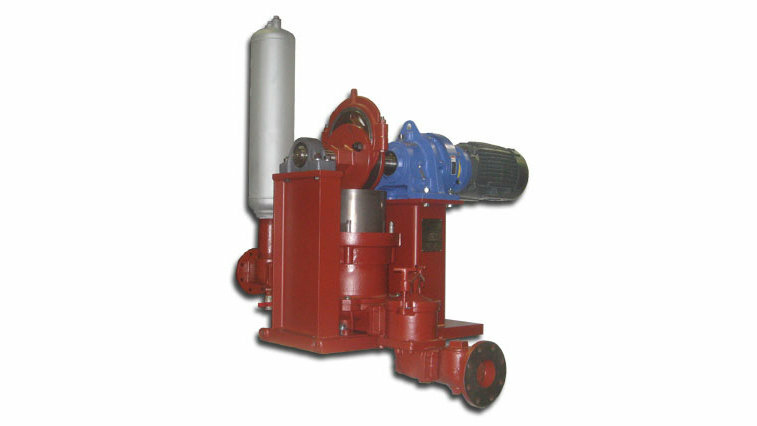 When the application requires a suction lift or moving heavy sludges that involve head requirements that can bog down other types of sludge handling pumps. Can the pump handle a suction- ft? Why is the flow rate unaffected by the system head? 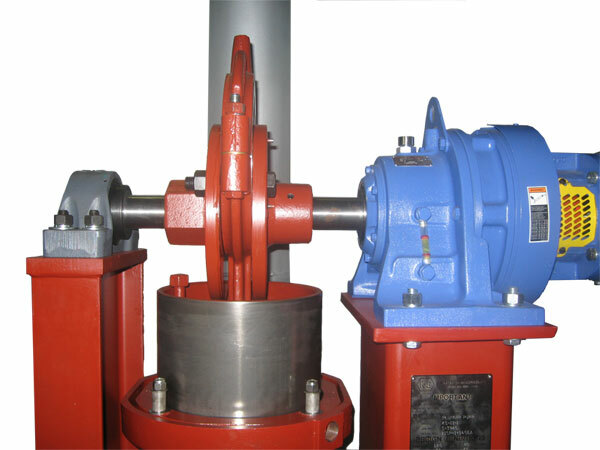 A plunger pump is a positive displacement pump and its performance curve is a nearly vertical line. When a plunger pump is set to do 100 GPM, it will try to do that flow rate whether it is pumping against 10 ft of head or 300 ft of head. Only the horsepower will vary. Does your “Leak Free” packing really work? 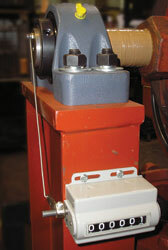 K-S has put many engineering hours into its patented packing design, which involves stabilizing the plunger to move in only the vertical direction. 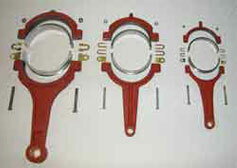 This, in turn, allows for better sealing of the packing against the plunger. 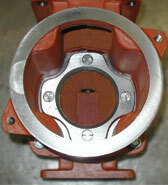 We have noticed marked reduction in the leakage associated with plunger pumps and for extended periods of time. Grit is still the biggest problem to the life of the packing and the plunger but this can usually be overcome by enhancing the materials of construction to more abrasion resistant materials such as ceramic or tungsten carbide coating plungers.